Research and hard facts tell us everything we need to know – less than 1 percent of the taxpaying population whose annual earned income falls between $15,000 and $100,000 experience an IRS audit each year. The odds are that slim! When you combine the small chance of actually being audited with accuracy and honesty on your clients’ tax returns, their anxiety about being audited should begin to diminish. There are some common myths about IRS audits that can cause taxpayers to fear making mistakes on their tax returns. Let’s review and dispel some common tax audit myths. #1: Filing an extension means you will get audited. Filing an extension doesn’t make a difference at all. The IRS looks for certain inconsistencies or ratios that stand out from the norm. The IRS has limited resources due to budget cuts, and needs to very strategic in its audits to generate additional revenue. If you are filing extensions, reassure your clients that they don’t have to worry about the extension and the extra time needed to prepare an accurate tax return. #2: Showing losses year after year will result in an audit. This is only partially true. If your clients are running a legitimate business, they should show a profit at some point. Otherwise, why are they engaging in this activity? The IRS has rules preventing taxpayers from using losses from hobbies to offset their wages and other income. However, if they have legitimate expenses and receipts to support them, they shouldn’t let the fear of an audit prevent them from deducting the expenses they are entitled to receiving. Being as honest and accurate as possible means they are unlikely to make significant mistakes and less likely to be audited. #3: Deducting meals, entertainment and travel expenses means they’ll get audited. If your clients deduct legitimate business expenses, they shouldn’t have a problem. Make sure they write off meals where they actually conduct business and are not personal in nature. You may want to look at the percentage that their meals, entertainment and travel expenses bears to overall sales. In the end, make sure the expenses are supported by receipts and appointment information. #4: Claiming a home office deduction means they will get audited. When only a small percentage of the population had an office at home, this might have been true. However, many small businesses start out with a home office, or continue to use one, because of the financial benefit of not paying rent. So, using Form 8829, Expenses for Business Use of Your Home, is no longer an audit trigger. Remember: to qualify, your clients must regularly use part of their home exclusively for conducting business. Having a regular business address along with claiming a home office deduction – If they already have a business location, they should conduct all of their business at that location. There are certain instances where they can get away with having a business address and a home office. Make sure each client provides documentation and the rationale for using the two locations for business. To avoid an audit, include a detailed statement with the explanation and documentation about the legitimacy of both locations on the tax return. Reporting utility deductions on Schedule C, line 25 (Utilities) – All home office utility expenses should be reported on Form 8829. IRS adjustment letter – This is probably the simplest and least intrusive forms of communication from the IRS. The adjustment letter is sent by the IRS to inform taxpayers of a miscalculation or small typographical error. Once your clients review the errors and agree with the adjustments needed, all they have to do is follow the instructions contained within the letter and they are done. A correspondence audit – This is an audit conducted through the mail, where the IRS will send a letter asking taxpayers to clarify certain parts of their tax return. Once they supply the correct information requested – usually documents supporting deductions and expenses – the correspondence audit will be satisfied. An examination audit – This is usually the product of an irregularity found by the Discriminant Inventory Function (DIF) system. Some audits can be handled over the phone or through the mail, but your clients may meet with an IRS agent in person to finalize the procedure. #6: Mistakes equal an audit. It’s surprising to some people to learn that an incorrect tax return does not automatically trigger an audit. The IRS uses the DIF system to compare a return, including deductions, income, credits and dependents, to the average amount of the same categories for taxpayers who have similar jobs, incomes and household situations. #7: The life-shattering audit. One of the biggest myths about an IRS audit is that an audit will destroy your life. In most cases an IRS audit can be taken care of by answering a few questions about the taxpayer’s finances. Advise your clients to always take any correspondence from the IRS seriously, and remind them regularly to retain records and receipts to support their income and deductions. #8: Professional tax businesses can safeguard you against an audit. The IRS does not audit based on who filled out the tax return. Many taxpayers think they will avoid being audited if they engage the assistance of a tax professional. The odds may go down because you are generally more familiar with the tax system, but clients can run into unscrupulous professionals as well. Just remember: An audit isn’t the end of the world. Make sure your clients are honest and that they keep receipts and records. Finally, make sure your work is accurate! Editor’s note: This article first appeared on the Intuit® ProConnect™ Tax Pro Center. For more information, check out other articles in Mike D’Avolio’s series on audit. 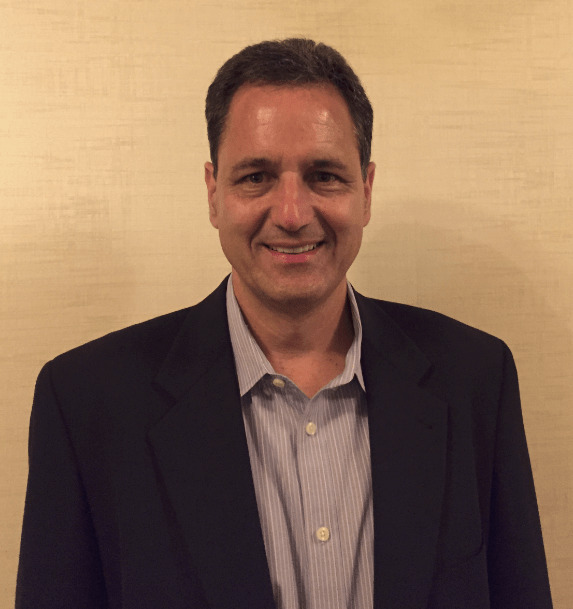 Mike D'Avolio, CPA & JD, is tax law specialist and staff program manager, ProConnect Group, Intuit. He is a customer and employee instructor, customer and government liaison, and a public relations representative.